I've been using the clafouti recipe from The Vegetarian Epicure for decades. My family loves it, but this one looks mighty tasty, and um, richer. every friday i look forward to your posts and once again, I love it. 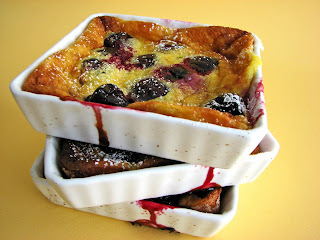 Clafoutis is rustic, classic and timeless. I love the pudding consistency, especially with cherries. bonbon, I hope you enjoy it! I love your gorgeous blog. Your presentation is always spot-on. I've never bothered to bake clafoutis at home, but used to at work, frequently. 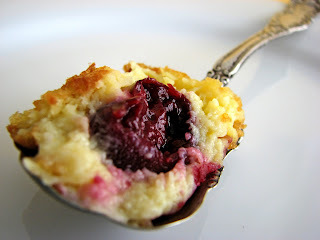 I love using cherries with it, and then brushing some Kirsch over the top once it's out of the oven. 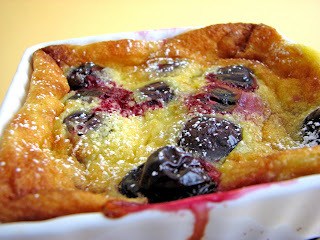 Great to read all your clafoutis tips as well! I can't imagine too many things better than cherries in a baked custard. 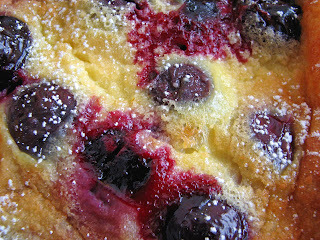 Lately I've been making Gerard Mulot's cherry clafoutis in an almond crust (from Dorie Greenspan's Paris Sweets).